This week, the Therm O Web team are creating Pinterest inspired projects. 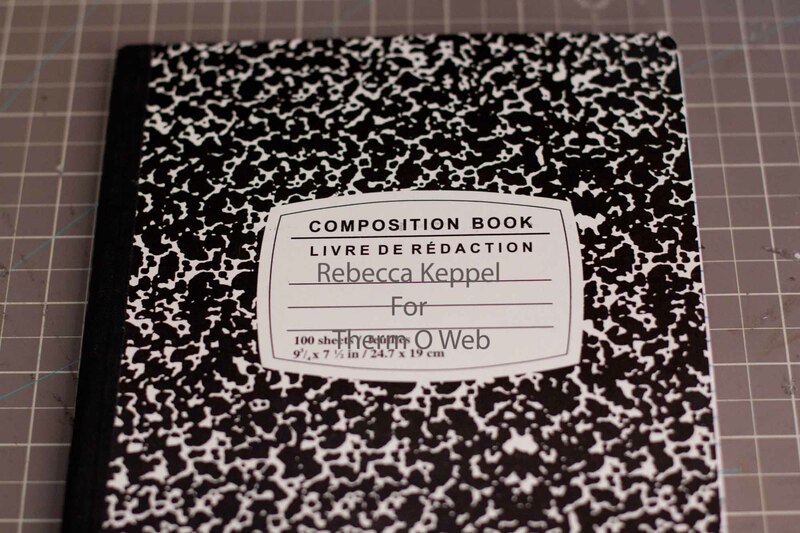 Before I even searched Pinterest, I remembered my friend (and co-design Scrapbook Circle Design team member) Diana Waite making altered composition books. 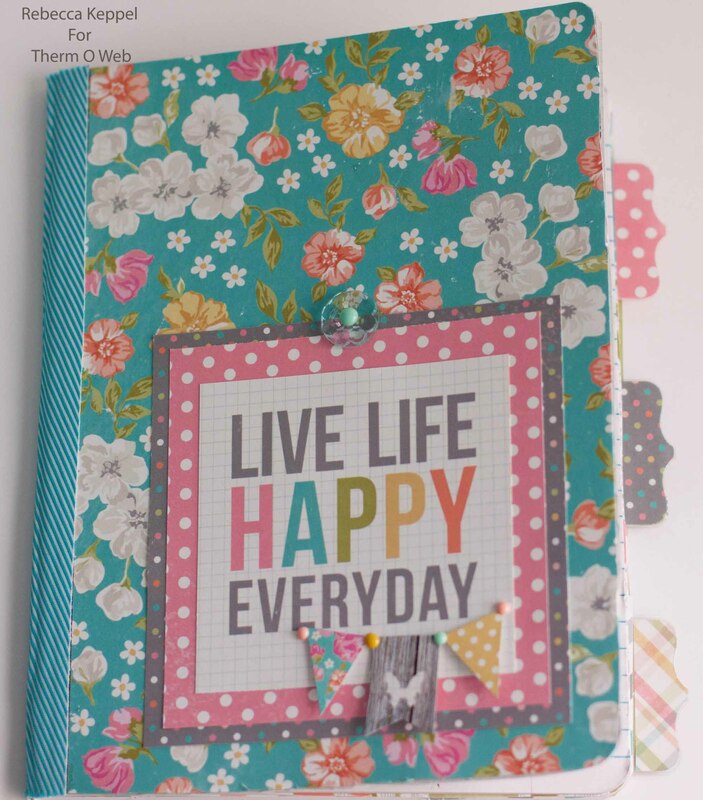 And if you search Pinterest for altered composition books, there is tons of fabulous inspiration available. They make a nice, personalized and cheap gift! 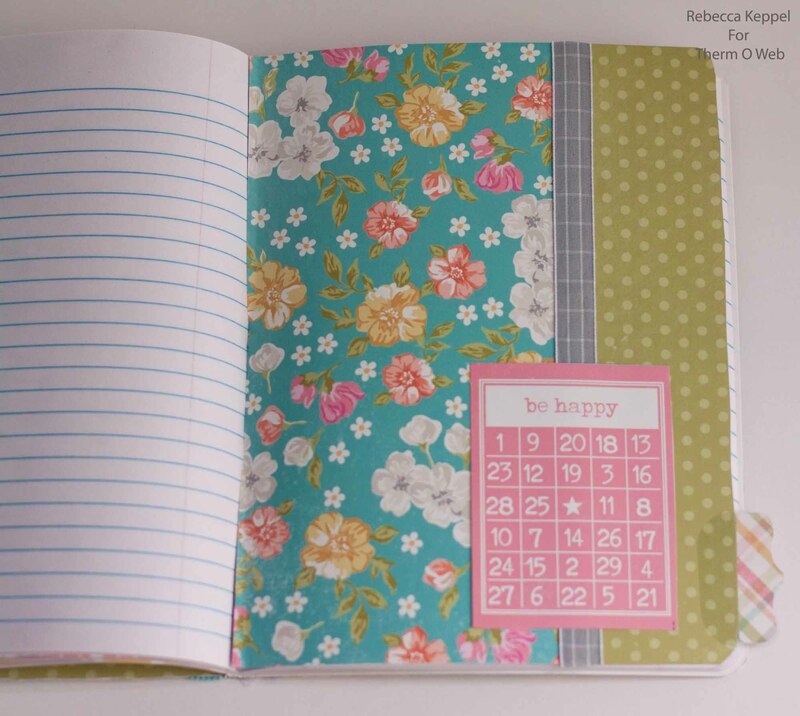 Start with a plain composition book - many dollar stores carry them. 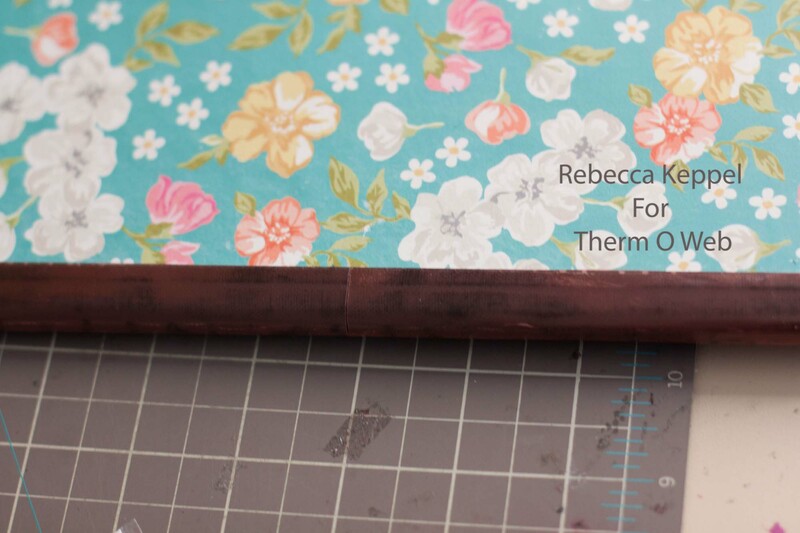 Using Therm O Web Super Stik, completely coat the cover of the book and the back side of patterned paper with adhesive. 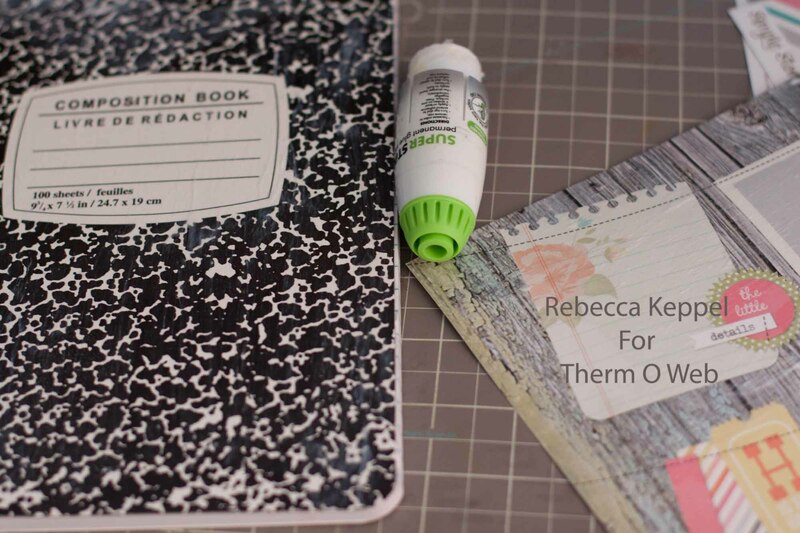 (Coating the cover and the paper insures permanent sticking power.) 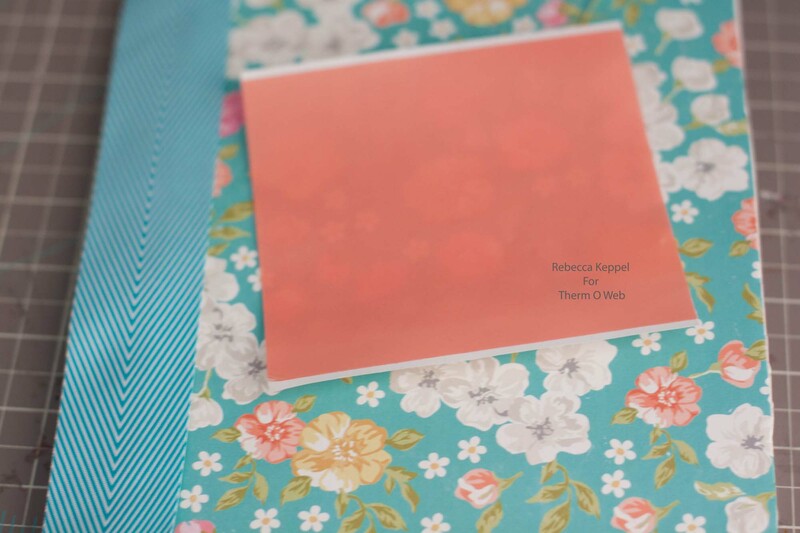 I used Simple Stories new line Vintage Bliss for this project. 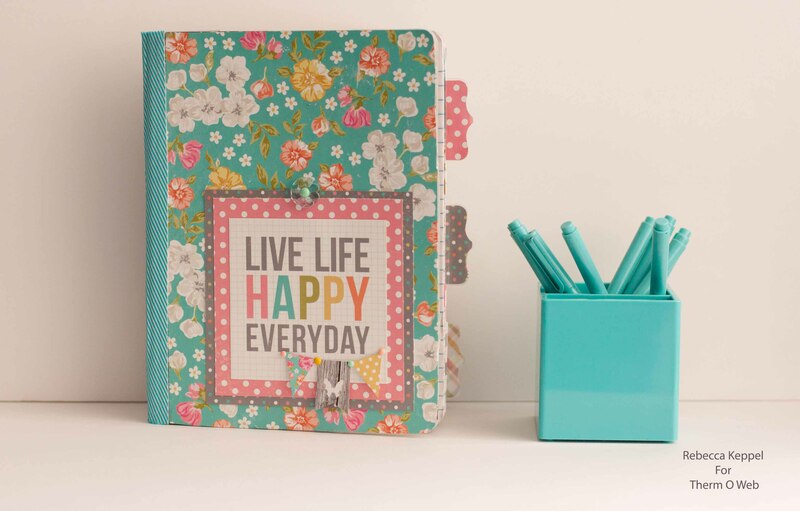 Perfect for a girl's notebook! 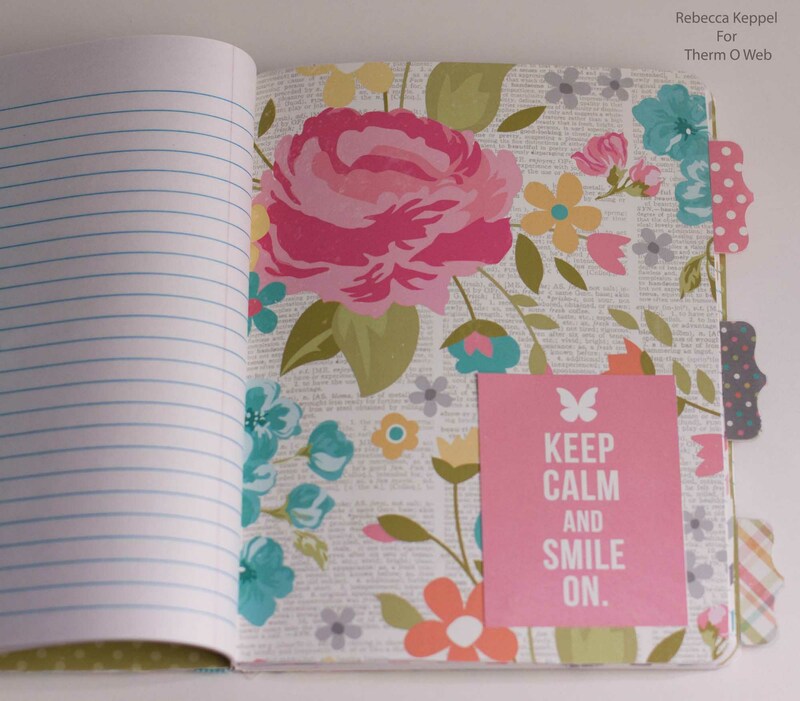 Don't cover the binding with patterned paper. 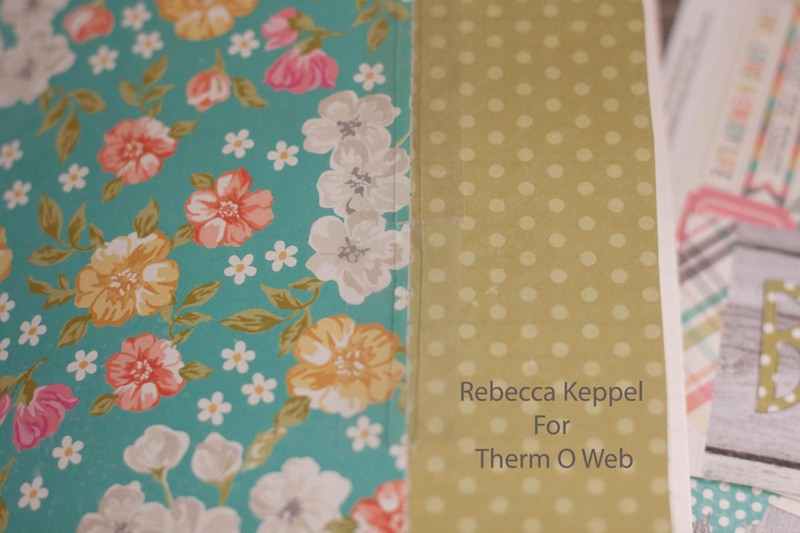 Instead use some Therm O Web SuperTape Sheets and a wide ribbon or trim. And there you have it, a very inexpensive but super cute gift inspired by Pinterest! Very pretty! COuld be used as a "Smash Book"! THis just look so pretty! So cute! And I love how you went above and beyond and decorated inside too! I love altering composition books!! I can't wait to get this collection! That's cool! 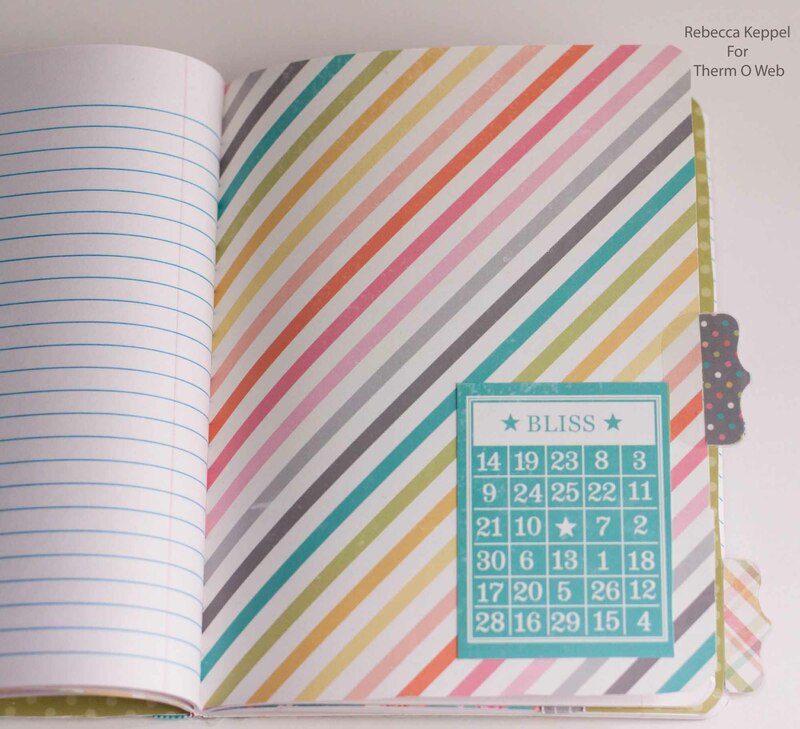 I love that new Vintage Bliss line and how you even covered pages inside for sections!